Get total of 15 Tubs within 3 months. Get total of 18 Tubs within 6 months. Total of 31 Tubs within 6 months. There are many reasons why Bubez Pap is the ideal brand of Pap (Ogi/Akamu) for you and your family. However, we will just name a few. Hygienic & Safe: Bubez Pap is produced and packaged WITHOUT the addition of chemicals i.e. NO preservatives and NO additives. All our raw materials are natural and our machineries and production staff maintain the utmost level of hygiene to ensure that our products stay clean and safe. Sterilized water is used throughout processing. Value: Bubez Pap is a value-focused product. Each tub contains 600grams with an average of 5 servings. Most variants contain three cereals each and also contain extra nutritional ingredients such as Soybeans, Groundnut and Ginger etc. Convenience: Making pap from scratch takes a lot of time and effort. Bubez Foods offers an ideal solution by providing a hygienically processed and packaged option that eliminates the processing time. @lepaciousbose (Instagram): The ginger flavoured pap is absolutely bliss… I am proud of you and what you do. Imagine all variety of pap; strawberry, ginger etc. God bless you. 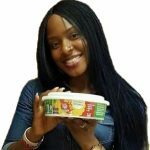 Connect with Bubez Foods. Be a part of the movement. Join TeamBubez by connecting with us across our social media pages.